Volunteering to learn Tahara and/or Shemirah Several of us will be trained in these traditional Jewish practices: Tahara is the ritual washing and the dressing of the body while reciting prayers and blessings in preparation for burial; Shemirah is staying with the body as shomrim (watchers) and reciting psalms until the funeral. 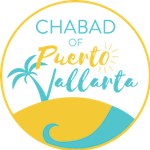 Volunteering to help the Chevra Kadisha is considered on the greatest of all Mitzvot. The Chevra is a volunteer group of men and women dedicated to serving the needs of the Jewish deceased, and to help the bereaved families in our community. Judaism has rich burial heritage that cares for the person who has just died, and for the mourners. Our tradition understands a person is composed of both, body (guf) and soul (neshama). After death, the holy vessel of the body is treated with the utmost care, dignity, and respect, and the soul is offered prayers and guidance as it withdraws from its vessel and returns to its source.